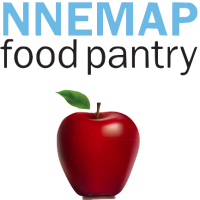 This month’s NNEMAP announcement is a plea for more volunteers. Our OSU students will be leaving at the end of the month, and they have provided great support as a part of OSU’s community involvement. We could use another 15 or 20 volunteers. I have listed on the attached the duties we give to our volunteers. Please spread the word. NNEMAP is a fun place to work and very rewarding. Interview – We have 2 or 3 interviewers every day who meet one on one with our neighbors to update their record and record their visit. Sometimes we enter data for new clients. Front Desk-One person greets people as they enter the pantry. They keep track of the client cards that are completed by the interview staff, and handle distributing mail to those of our neighbors who receive mail at the pantry. Shoppers – The majority of our volunteers shop with our clients. They assist as each person selects their food items, then walk them to their car and help them unload. Stockers – We need 2 to 4 people taking deliveries and stocking our shelves as needed. We distributed over 800,000 pounds of food last year. Deliveries are frequent and product needs to be properly sorted and placed. This time of year is especially important to add volunteers as our OSU students are leaving for the summer. Our hours are MTWF 9-12 and Saturday 11-1. Please have those interested contact Roy Clark at director@nnemappantry.org.